This article is inspired by the blog article of Maciej Swiderski that applies to version 7 of jBPM. The code provided is a partial backport of the standard Work Item Handler coming with version 7 and is tested on Red Hat JBoss BPMS v6.4. One of nice capabilities of the Red Had BPMS platform is managing rules and processes at the same level. The API are uniform and the developer can build an interconnected solution made of processes and rules, getting the best of two worlds. In this article, we will see how to invoke from a process rules that are defined in a separated project (kjar). This will be accomplished running the rules in the same process runtime with the benefit of avoiding any latency due to a remote invocation. First of all, we have to split the facts from rules in two different projects. This is in general a good practice, but in our case it is essential, because the fact model has to included in the process project as a dependency. In fact, it can be considered the external contract between the rules and their client. The usual interaction with the rule engine is to add facts to the working memory, to fire the rules and finally to retrieve the modified facts. In other words, the facts are the data exchanged between the two worlds. Since the rules and processes has to share the same classes, the jar file should be configured at high level in the loading hierarchy. 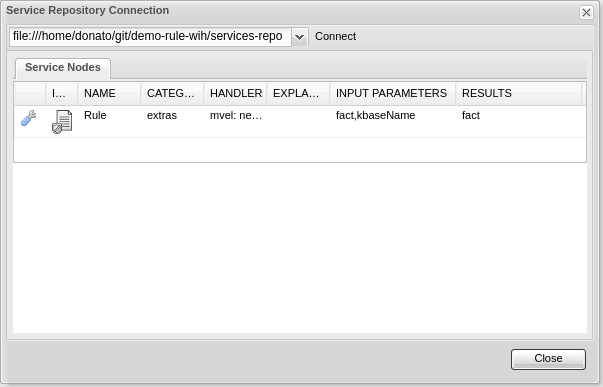 For example, it can be placed in the WEB-INF/lib of the process runtime (Business Central, Kie Server or custom). Launch mvn install for each the maven projects. You can find the sample code on dynamic rule invocation example on github. Edit the loose-rule in Work item handler section, the constructor parameters have to match the rule project GAV (group, artifact, version). 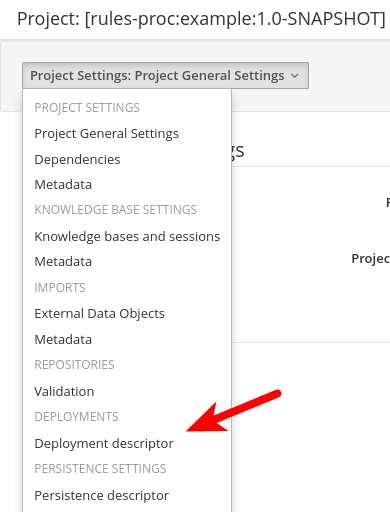 The last parameter is the number of milliseconds for the rule scanner; by default it is 10000, so every 10 seconds the work item handler look up for new rules project release in the maven repository.